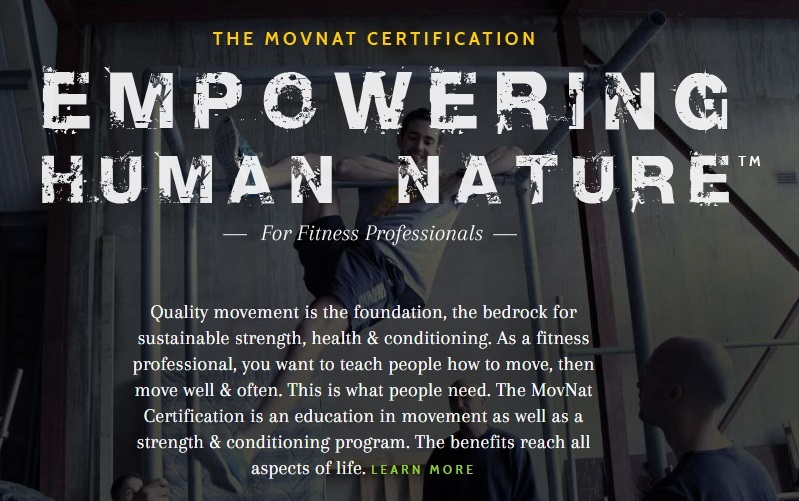 Erwan Le Corre: Founder/Owner of MovNat & originator of the Natural ​Movement fitness trend. Founder and owner of MovNat and originator of the Natural Movement fitness trend. Born in the French countryside, Erwan Le Corre's youth was filled with outdoor activities. This was the gym where Erwan learned physical fitness through running, climbing, crawling, and jumping. At the age of fifteen Erwan began the study of karate, receiving his black belt at age eighteen. From there Erwan went on to explore a broad range of activities including Olympic weightlifting, rock climbing, triathlons, trail running, and Brazilian jiu jitsu. After exploring all these sports, but finding all of them lacking due to specialization, Erwan started developing his own methodology. He researched ancient physical fitness practices and put together ideas for an approach that was about a broader understanding of human movement and health. Using this knowledge and his experiences he created a system for training and coaching he called MovNat. 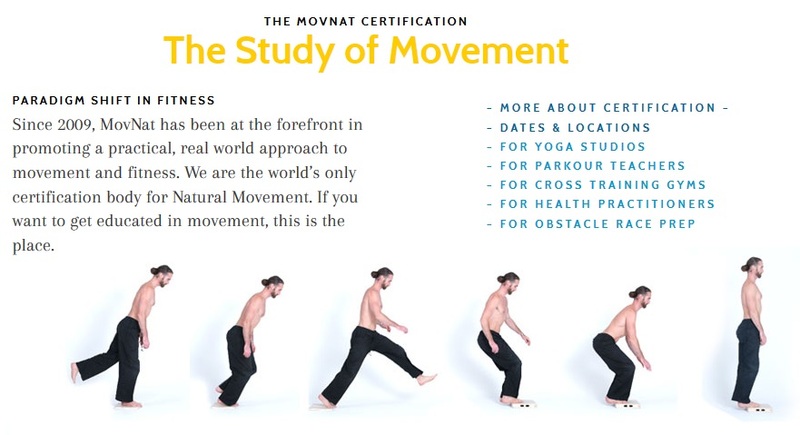 Today MovNat has certified over 2000 trainers worldwide and is recognized as the leader of Natural Movement fitness. I excel at articulating my Natural Movement philosophy, and at demonstrating and teaching my method and improving people's ability to move in practical and adaptable ways. I am the best at making "exercise" a deeply inspiring, life-altering experience of self and body through natural movement. I make exercise more than something people do, I show them how to make them a manifestation of who they are and choose to be. Uniqueness, knowledge, authenticity and passion make me the best at what I do. What I do is literally a direct, unaltered expression of who I am, an embodiment of my perception and values, stemming from a lifelong research and quest for self-actualization and self-empowerment. I don't come from a conventional, academic, institutional, or even from any known background, which alone makes what I do and how I do it unique; and because nobody else does it like I do, I'm naturally the best at it. I don't mind not staying the best for a simple reason, if anyone was to become better than me, not only it would probably mean that I have inspired them to become their best and the best, it also mean that this person is a exceptionally inspirational and a fantastic teacher. That's what the world, that's what people need, to be inspired to learn, to be inspired to self-improve and self-actualize. Why then should I resist the idea of someone, or even many people becoming better than me? Business is a means to an end to me, not a finality. Before I started it, I didn't have a market study and business plan, but instead I formed a vision about it; so far it has been unfolding exactly as I had envisioned it. I envision MovNat as the biggest player in the field of health and fitness, and I'm confidently building the momentum necessary to leading to that point. We need a major paradigm shift in this industry, because its foundation has been overly superficial, ineffective, and for too long. In the end, it is not about being number one, it is about impacting and improving people's life at the broadest scale and highest degree possible. It is about making the most positive, meaningful and potent change in this world I can. That is my deepest business inspiration. That is the true business I am in, and taking care of. To live a meaningful life, which I don't see as a future outcome, but as an ongoing process happening in the present moment. I am a father of 3, so family and the love we share have the highest importance. To practice my energy at the highest level possible, including spirituality, is the way to stay strong and healthy, to age gracefully, to always be happy, and to maintain freedom. My dearest aspirations have nothing to do possessing things. It's about my inner world, and the beauty shared with whom I love, my wife and children, and the Great Spirit above us. Fascination is a very strong word. To be fascinated is a very beautiful state. My wife Jessika and my children fascinate me. Nature fascinates me. To feel the power and intelligence of the Divine in this world fascinates me. The spirit of plant medicine teachers fascinates me. What fascinates me is real, genuine, priceless, and timeless. "Nothing is lost, nothing is created, everything is transformed." by French chemist Lavoisier. I love this quote because it encapsulates the concept of impermanency, but at the same time expresses the intuition of eternity. My wife Jessika and children Feather, Eagle, and Sky. They're everything I have. I would find it very sad if my closest relatives weren't my absolute most favorite people in this world, wouldn't it? My heart, because when I'm truly, fully there, it's the best feeling in the world, it is "home". Home, which is where my favorite people are, wherever they are at a given moment on this Earth. More geographically specific, New Mexico and Corsica (a French island). The Earth is full of amazing places and I haven't seen them all, so there's more to be seen and discovered. I though have travelled a lot and really, New Mexico and Corsica are my all-time favorite places. The freshest, most local and organic food. When you have that - food wise- about nothing else matters, when you don't have that, about nothing else matters. I am grateful every day to the people whose hands work hard to grow these produces, and to the land where it is grown. Love, happiness, freedom. I always regard principles as the highest. Walking, moving, just being in nature with my beloved ones, that's the kind of passion that leads to these principles and emotions. They are the finality, and any specific hobby the means to it. It is really hard to tell. I could mention a few life-threatening circumstances, when in my head all I thought was "is that it? "; those moments where challenging at the most primal, vital level of the psyche. Otherwise, challenges are usually not "moments", but phases within the ongoing process which is self-actualization. Challenges are not that much external circumstances in themselves, but your mental and spiritual stance in relation to them. The challenge is to choose how much importance, intensity or impact those external circumstances have on your internal life. My answer will be very similar to the previous one. Disappointment has a lot to do with your expectations, and secondly with your ability - or lack thereof - to adapt to change, learn and improve through change, and while maintaining gratefulness for everything that you have received, that you are receiving, and that you will receive. I've had setbacks like anyone else in life, but early on in my life I've learned how to strongly minimize, and even prevent disappointment, and the main key is to be grateful for the learning experience that help you build the necessary experience for future success. You can't be grateful if you haven't learned to appreciate what you have or receive more than what you were expecting to have or get. You will be disappointed if you are not adaptable to circumstances and change, and aware that you can always learn, improve, and evolve. You also need to be equipped with great patience to understand and accept that what you are seeking may not happen overnight, or at the desired time, or even as you wanted. You need to choose a direction where progress is made and satisfaction acquired along the way without expecting everything from a single event or achievement. Dealing with disappointment is linked to dealing with satisfaction, achievement and success. If you build your assessment of success on (a) single event(s), you are highly likely to be disappointed. But if you embrace and appreciate success as a multidimensional process that you must nurture everyday, you are protecting yourself against disappointment, because you're doing your best everyday, making progress everyday. The process is the satisfaction and the success altogether. My family, hands down, and who I become everyday as a man and family man.